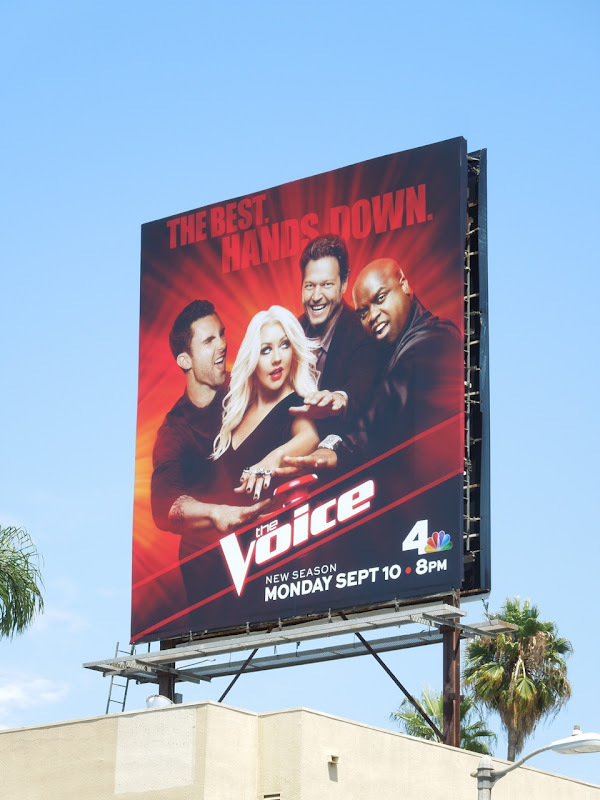 Daily Billboard always strives to bring you the most visually interesting and freshest billboards lining the skies of L.A., especially when it's the advent of a new television season when creatives for new shows and returning favourites abound. 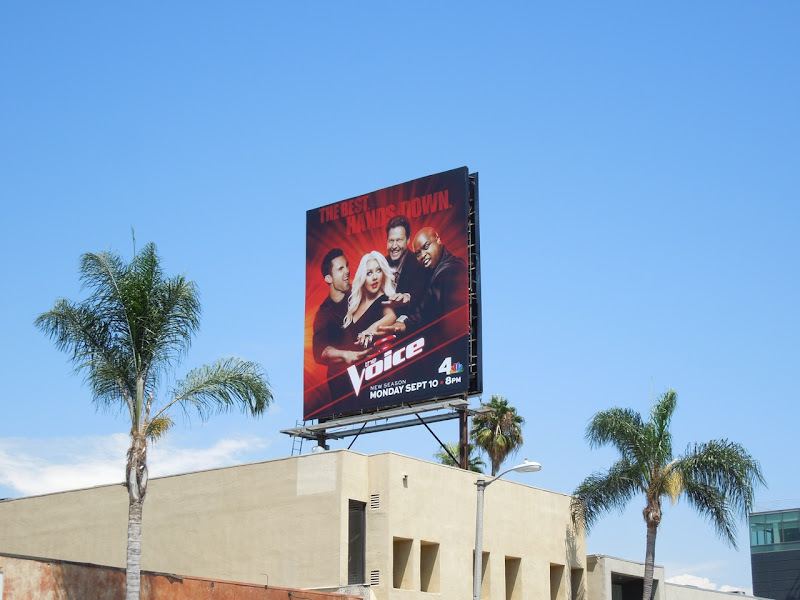 Here's The Voice with a fun special extension billboard and more ads for their third season to help kick start another TV WEEK here at Daily Billboard. 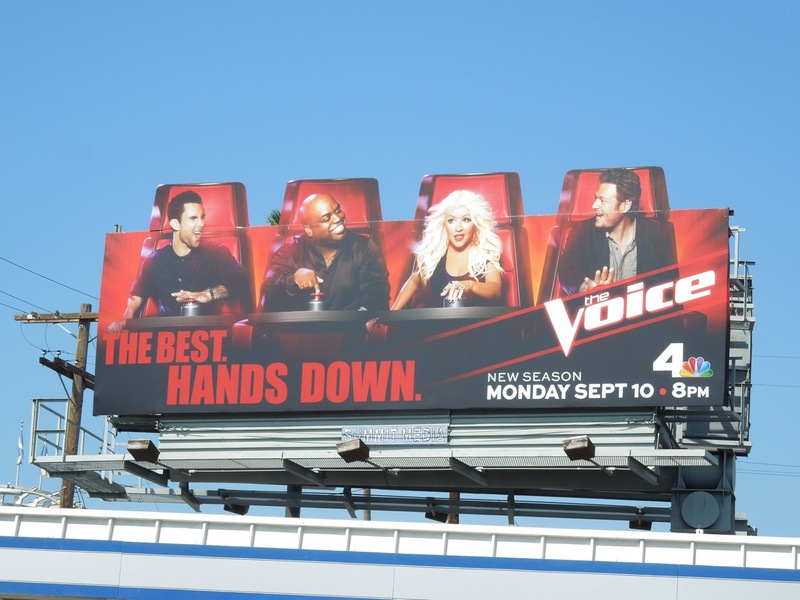 Adam Levine, Cee Lo Green, Christina Aguilera and Blake Shelton are all smiles going for their buzzers to select the best singing contestants, obviously trying to reassure viewers that all is well and there are no diva bust-ups behind-the-scenes at The Voice. 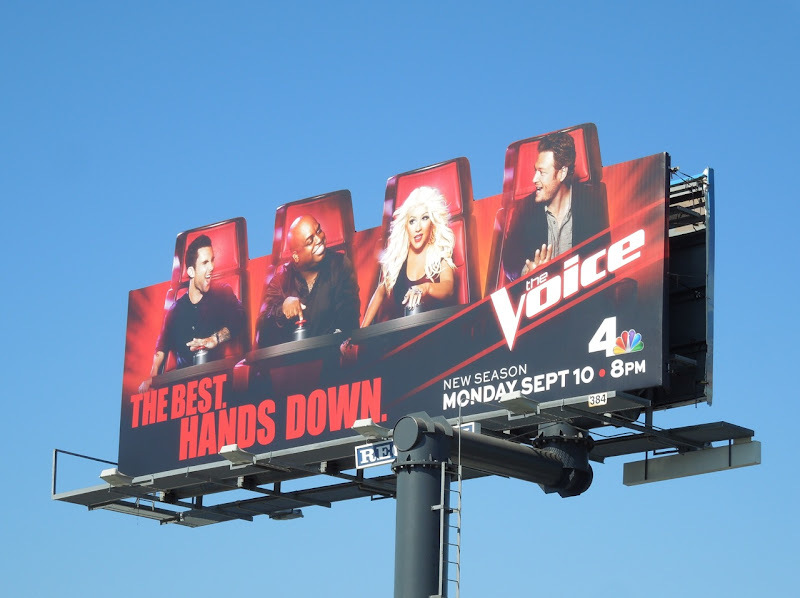 It's nice to see the talent show have some fun with their billboard creatives and the ads immediately evoke the feel of the series with the mentors chairs and buzzers, and fits really well with 'The best. 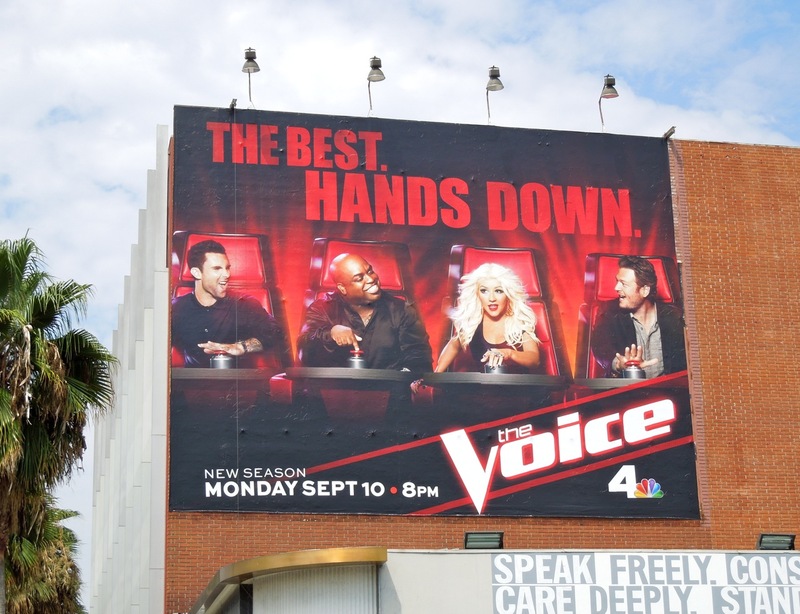 Hands down' tagline. 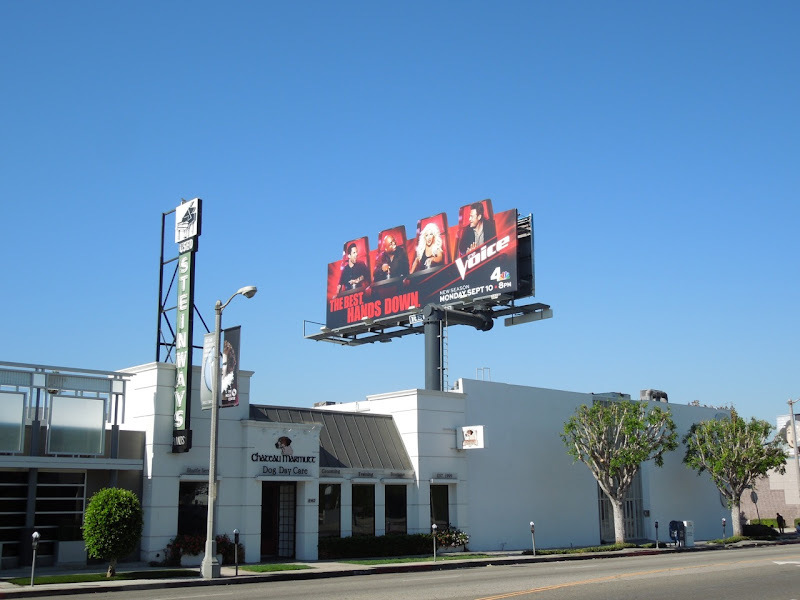 Both the special extension and the squarer billboard were snapped along Beverly Boulevard on August 14, whilst the wall version was spotted along Sunset Boulevard in Hollywood on August 17, 2012. 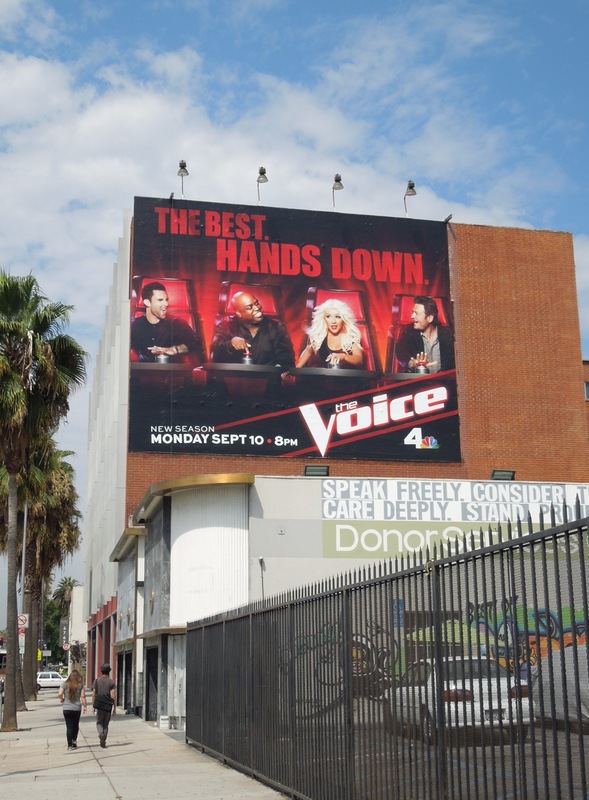 If you're a fan of the show, be sure to compare the new creative with The Voice season one billboard and season two billboard. UPDATED: Here's another cool example of the four coaches chairs special extension billboard snapped at the intersection of Fairfax Avenue and Sunset Boulevard on September 6, 2012. They make such an amazing family!! 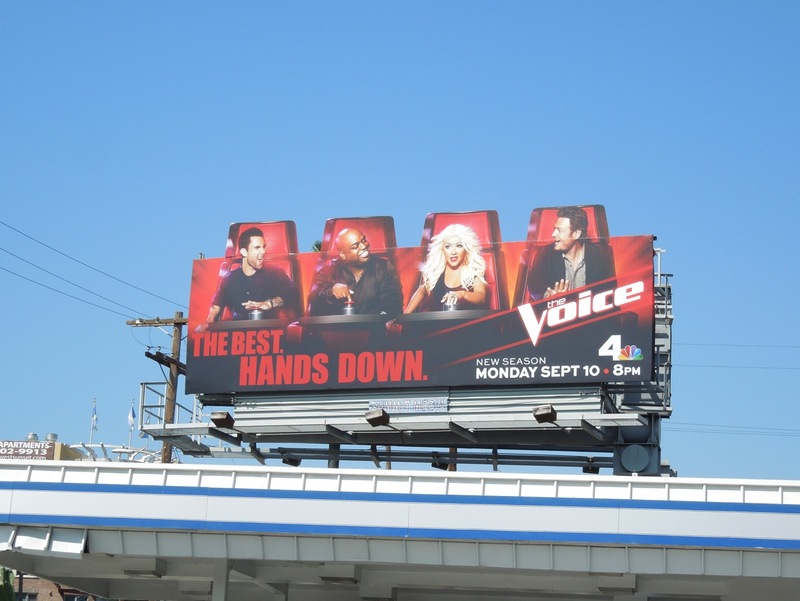 Can't wait for new seaons love you all coaches Christina Aguilera Adam Levine Blake Shelton and Ceelo Green!! The best coaches on TV! !